In a 13D filing, Jeffrey Smith’s Starboard Value disclosed a 6.1% stake in LSB Industries Inc. (NYSE:LXU), which contains 1.39 million shares. The position was reduced from 1.73 million shares reported in an earlier filing. Starboard holds an activist position in the company, has appointed representatives on the board, and has been trying to pursue the management to enhance shareholder value. Starboard Value is a New York-based activist hedge fund co-founded by Jeffrey Smith and Mark Mitchell in 2002. The investment firm takes on a fundamental approach to investing and primarily focuses on small-cap publicly traded U.S. companies. Starboard Value has had great success in generating attractive returns on its investments and managed to earn money on 88% of its activist investments. The fund has generated an annualized return of 22% since its inception in 2002, greatly outperforming the S&P 500 thus far. Starboard has been very active lately, as it reshuffled several holdings this week. For instance, the hedge fund has gone activist on MedAssets Inc. (NASDAQ:MDAS) with a stake of 8.7% in the company, but also sold almost its entire stake in Unwired Planet Inc. (NASDAQ:UPIP) to MAST Capital Management. In the meantime, Starboard Value oversees an equity portfolio with a market value of $4.81 billion as of March 31. 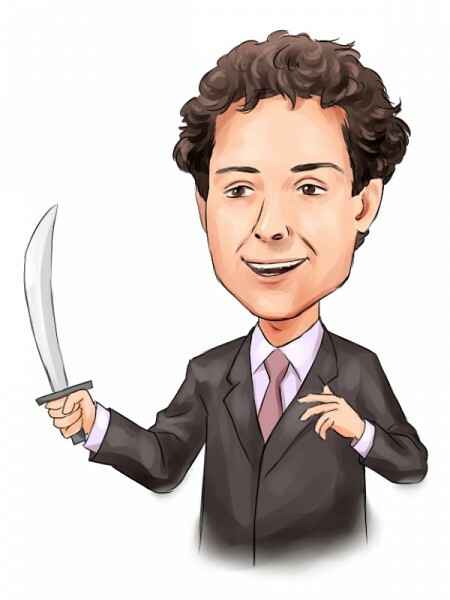 Following activist funds like Starboard is important because it is a very specific and focused group of investors, which don’t have to wait for catalysts to realize gains in the holding. A fund like Starboard can simply create its own catalysts by pushing for them through negotiations with the company’s management and directors. In recent years, the average returns of activist hedge funds have been much higher than the returns of an average hedge fund. Furthermore, we believe do-it-yourself investors have an advantage over activist hedge fund investors because they don’t have to pay 2% of their assets and 20% of their gains every year to compensate hedge fund managers. We have found through extensive research that the top small-cap picks of hedge funds are also capable of generating high returns and built a system around this premise. In the 32 months since our small-cap strategy was launched it has returned over 123% and beaten the S&P 500 ETF (SPY) by more than 66 percentage points (read more details). Soon, we’ll be releasing a new quarterly newsletter written by former activist hedge fund analyst Michael Bland that tracks ten or so activist campaigns at any given time. As stated earlier. Starboard Value has been involved in an activist campaign in LSB Industries for more than a year and in April entered into a settlement agreement with the company, under the terms of which LSB increased the size of its Board to 13 directors and appointed five new directors nominated by the investor. Moreover, in March, Starboard sent a letter to LSB Industries, in which it stated that the company is undervalued and requires changes in operations, strategic directions and management structure. LSB Industries Inc. (NYSE:LXU) is a holding company that engages in manufacturing and marketing operations through its subsidiaries. Specifically, the company operations in two segments: Chemical Business and Climate Control Business. LSB’s chemical business manufactures and sells nitrogen-based chemical products for the agricultural, industrial, and mining markets. Whereas, the climate control business manufactures and sells a range of heating, ventilation and air conditioning (HVAC) products. The shares of LSB have dropped by nearly 27% year-to-date after plummeting by over 34% during the trading session on August 7 as the company published its financial results for the second quarter of this year.